Whalen Astoria File Cart ONLY $19.99 at Staples (Reg $100) – That’s 80% Savings! Staples: Lynx Glass Top Compact Computer Desk JUST $29.99 – Regularly $150! Staples Back To School Deals (Week 8/12 – 8/18) – Prices Starting at ONLY 25¢! Staples Back To School Deals (Week 8/5 – 8/11) – BIC Pens & Pencils for Just 25¢! Staples Back To School Deals (Week 7/29 – 8/4) – School Supplies for UNDER $1! 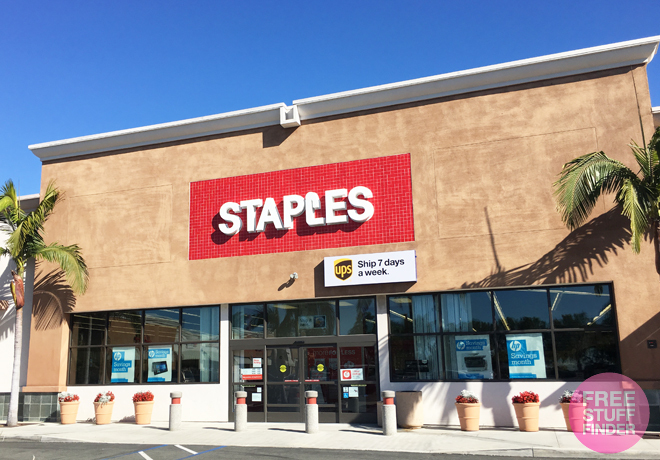 Possible FREE $10 Staples Rewards Members Coupon (Check Email) – Valid In Stores Only! Staples Back To School Deals (Week 7/22 – 7/28) – Get Folders for ONLY 35¢! Staples Back To School Deals This Week (Through 7/21) – Deals Under $1!